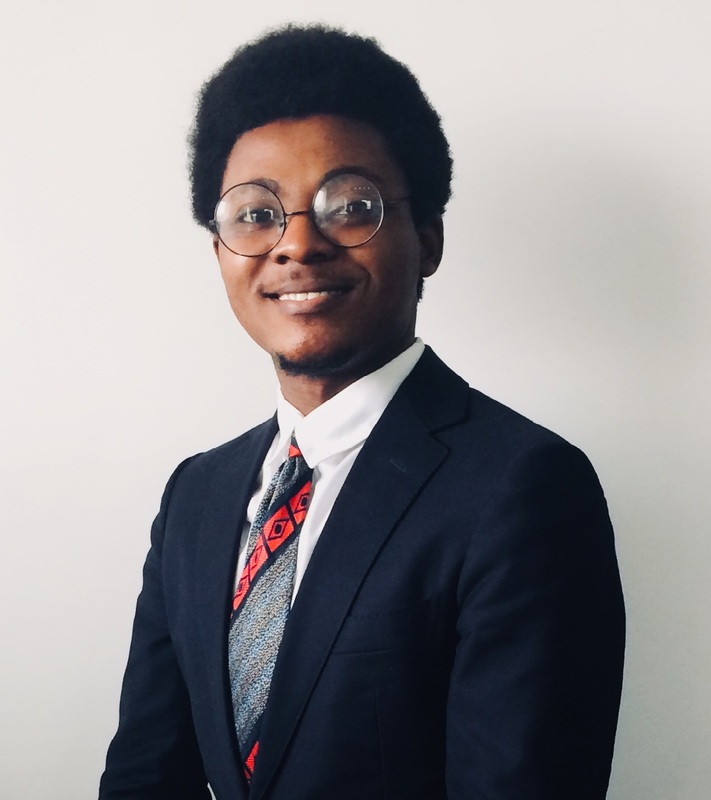 Agbo Dozie is an Applied Mathematician, AI Developer and Natural Scientist. He is passionate about Machine Intelligence and Space Science and in fact their combined potential to improve the quality of life for all of humanity. His researches cut across the fields of Mathematics, Einstein’s Relativity theory, black holes, philosophy, and so on. He is currently researching on the Naked Singularities of Space-time. 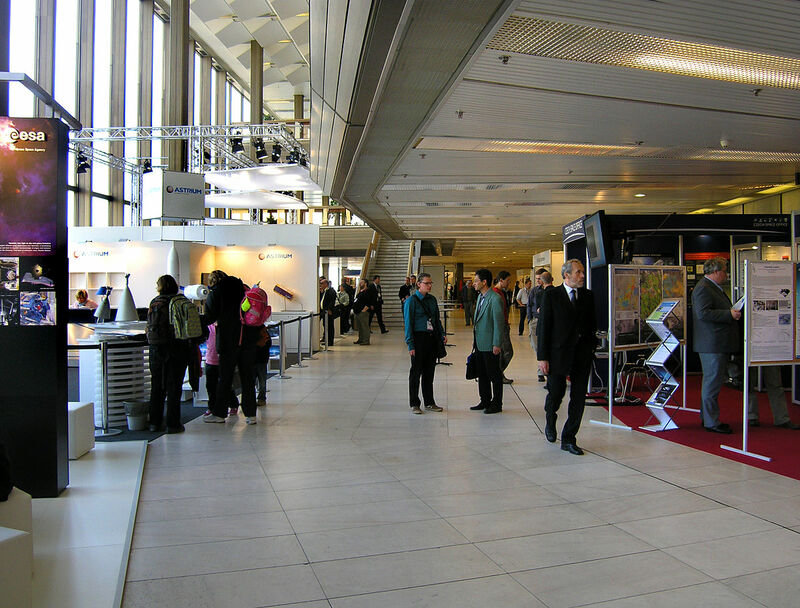 In 2015, the International Astronautical Federation (IAF) organized the Global Space Innovation Conference (GLIC 2015) in Munich, Germany; in 2017, it was the Global Space Exploration Conference (GLEX 2017) that held in Beijing, China; in 2018, the Global Space Application Conference (GLAC 2018) that held in Montevideo, Uruguay. It is 2019, and the IAF has announced this year’s conference—the Global Conference on Space for emerging countries (GLEC 2019). What makes this conference unique is that the conference aims at actively engaging emerging countries in the space scene by highlighting the socio-economic benefits of space applications; by understanding the various financial models for the optimal resourcing of national space programs; by identifying opportunities for technology and skills transfer; by creating awareness about the base infrastructure requirements needed for operating and running national space programs and by creating awareness on the essential legislative and policy elements that must be considered in establishing the foundation for national space programs. GLEC2019 also represents an opportunity to cast spotlights upon the African space sector, spotlights of opportunities and restructuring of strategy and possibly funding. It would be attended by pioneers and leaders in the Space industry and policy makers world over and would produce key policies and results at the end. The Conference programme has been organized in such a way that it would gather senior representatives of the major space agencies, policy makers, governments, NGOs, academia, and industry. The top reps, gathered together in Morocco, would share ideas, discuss results, debate strategies, and talk about the future of space activities in emerging countries along lines of opportunities and challenges. Opening Ceremony— The programme kicks off at 10:00 am with the President of the IAF, Jean Yves Le Gall, and a Moroccan High-Level Representative (TBD) making opening remarks. The opening ceremony would swiftly be followed by two High-Level Keynote addresses. The keynotes speakers would be Mahama Ouedraogo (AU, Ethiopia) and Ahmad Belhoul Al Falasi (UAE Space Agency). Section 1 (Part 1)—Talk would be “On the Benefits of Space Technology and Applications to Socio-Economic Development (Agency Perspective)”. This would address the informational gap in emerging nations that are still grappling with recognizing the relevance of space technologies and applications towards achieving the SDGs and improving the socio-economic development of their nations. Speakers in this section include Driss El Hadani and Mohammed Al Ahbabi, respectively Director General, Royal Center for Remote Sensing (CRTS) and Director General, United Arab Emirates Space Agency (UAESA). Welcome Lunch—That would be sponsored by Airbus Defense and Space; with a keynote speaker still on TBD status. Section 1 (Part 2)—Talk would be “On the Benefits of Space Technology and Applications to Socio-Economic Development (Industry Perspective)”. This would address the informational gap in emerging nations that are still grappling with recognizing the relevance of space technologies and applications towards achieving the SDGs and improving the socio-economic development of their nations. Speakers in this section include Charles F. Bolden, President/CEO, The Bolden Consulting Group LLC (United States), Kyle Acierno, Vice President at iSpace Inc, Luxembourg, Bruce Chesley of the Boeing Company, and Kevin O’Connell of the US Department of Commerce. Section 2—Talk would be “Financial Models Resourcing”. With events like this one, there is sure to be a level of rekindling of the interests of the general community of investors in the space sector of emerging nations; and more so with a nicely dressed value proposition. It would fall on the shoulders of pioneers and leaders in the industry to adopt the best financial models while pursuing national space programs. This talk would address how this can be achieved, as well as how to figure out where the interests of development banks lie when they offer loans and aids for space programs. The speakers would include Steve Bochinger, COO Euroconsult, and Carlos Alvarado, President, Central American Association for Aeronautics and Space (ACAE), Costa Rica. Welcome Reception—This would hold, from 6:30 pm to 8:30 pm, at Les Jardins de l’Agdal Hotel, Avenue Mohammed VI, Marrakech 40000, Morocco. Section 3—Talk would be “Technology and Skills Development”. The focus would be placed on the role of academia in producing competent and skilled individuals that can manage the space programs of emerging nations. There would also be mention of the role of government, as well as creating an air of oneness among big stakeholders involved in skills and technology development. The speakers include Juan de Dalmau, President, International Space University, France, and Abdelaziz Benjouad, Vice President, Research & Development, International University of Rabat, Morocco. Section 4—Talk would be “Basic Infrastructure Requirements”. With the limited experience obtainable in emerging countries in the area of space science, it might also be a challenge for space agencies to even know what infrastructures they should have in place. This talk addresses that issue by identifying the basic infrastructures required to set up and operate a national space program. It would also look at the approaches involved in developing the needed skills to operate and manage the infrastructures. The speakers would include Pilar Zamora, Executive Director, Colombian Space Agency, Colombia and Salem Almarri, Assistant Director-General of Science and Technology (MBRSC), UAE. GLEC 2019 Seminar on the Next Generation’s View on Space for Emerging Countries—This seminar would span half the day, and it is organized in cooperation with the Space Generation Advisory Council (SGAC). The goal of the event is to get Moroccan and African students and young professionals motivated and equipped to take on the opportunities present in the space sector. The programme will feature 3 keynote addresses, 5 working group discussions and a short interactive panel discussion. This section features Juan-Yves Le Gall of IAF, and Charles F. Bolden who formerly worked with NASA. Section 5—Talk would be “Space Industry Development and Support”. Here, the talk would be around the dynamics involved in setting up a space agency from scratch until it becomes fully fledged, as well as the role of private space institutions in building capacity enough for the national space agencies to fetch from when setting up space programs. The speakers would include Pascale Ehrenfreund, Chair of Executive Board, German Aerospace Centre (DLR), Martin Sweeting, Group Executive Chairman, Surrey Satellite Technology Ltd (SSTL), and Cornelius J.J. Eldering (Niels) of the European Space Agency amongst others. Section 6—Talk would be “Legal and Policy”. There are important laws that govern space activities; they make up the Outer Space Treaty. It is easy to miss the regulations and break these laws if emerging nations are ignorant of them while setting up national space programs. This talk sheds light upon the laws, policies, and how they impact countries with or about to set up a space program. The speakers would include Irmgard Marboe, Professor of International Law, Univesity of Vienna, and Mohammed Khalil Ibrahim, Professor, School of Aerospace and Automotive Engineering, Rabat International University, Morocco, among others. Results and Recommendations—While Driss El Hadani would moderate this session, the speakers include Kristen Armstrong, President, Petra Strategy, Us, and David Kendall, Former Chair, UNCOPUOS, Canada. Closing Ceremony—The conference would end at 4:20 pm with the closing ceremony featuring Drill El Hadani, Pascale Ehrenfreund, and Jean-Pascal le Franc, amongst others. 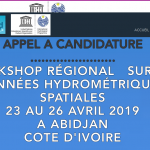 Registration to participate in the conference costs range from 40 Euros for Students to 250 Euros for full-paying participants; attendance is, however, free for Moroccan citizens (with valid means of identification), speakers, and media personalities. It is no doubt that the conference promises a stellar experience and possibly epiphanies to those that would be in attendance. And very importantly, it would be one of those moments that posterity would mark to be when an extraordinary paragraph was added to the story of the African space sector. Click here to register for GLEC 2019. Space in Africa is an official media partner for GLEC 2019.